By studying intestinal regeneration in fruit flies, the researchers discovered a new mechanism used by gut cells to determine whether they should continue to divide or instead mature and develop into specialised cells with specific functions. The fruit fly's intestine has many similarities to human intestines and is thus often used in research to study how stem cells are regulated and how tumours are formed. In addition, it was discovered that Nub-PB can slow the growth of tumours in the fruit fly's intestine. The researchers created tumours through genetic manipulation, but when they simultaneously increased the amount of Nub-PB in the intestinal cells, no tumours were formed. 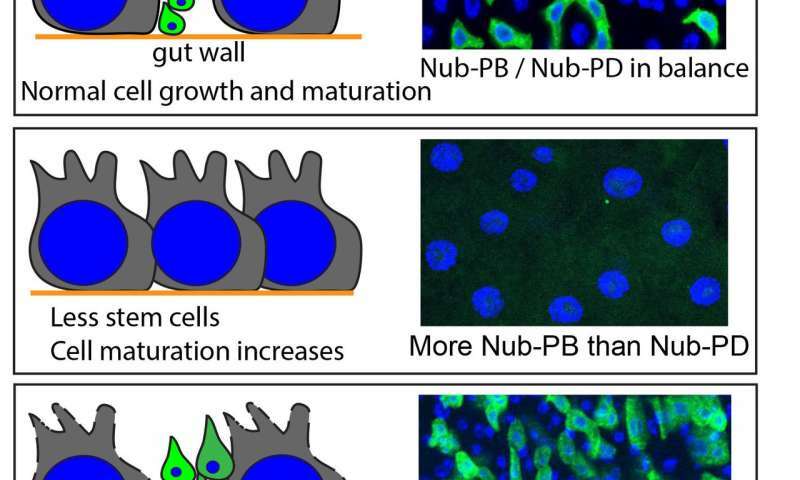 Nub-PB is thus a so-called "tumour suppressor."